Colorado Bill to Limit Home Cultivation Advances. The House Finance Committee voted Monday to approve House Bill 1220, which would limit home grows to 12 plants. Bill sponsors paint it as an effort to prevent diversion to the illegal market, but medical marijuana patients and advocates testified that it could make it difficult for them to grow enough medicine for their needs. Nevada Bill to Allow Licenses for Public Events With Pot Consumption Filed. The state's leading pro-marijuana reform politician, Sen. Tick Segerblom (D-Las Vegas) filed Senate Bill 236 Monday. The bill, which is not yet available on the legislative website, would allow local governments to issue licenses for one-off events with public pot consumption, as well as licensing pot shops, bars, or other businesses to allow consumption on-premises. The bill has been referred to the Senate Judiciary Committee. Pennsylvania Auditor Endorses Marijuana Legalization, Says State Could Earn Millions. Auditor General Eugene DePasquale (D) said Monday he supported marijuana legalization and that the state could generate $200 million a year in tax revenues from it. "The regulation-and-taxation-of-marijuana train has rumbled out of the station across the United States," DePasquale said at a press conference in the state capitol. "The question is whether Pennsylvania is going to miss its stop." Arkansas Senate Kills Bill to Ban Smoking of Medical Marijuana. The Senate voted 15-10 Monday to reject Senate Bill 357, which would have banned smoking medical marijuana. Bill sponsor Sen. Jason Rapert (R-Conway) argued smoking is a public health hazard and that smoking marijuana is a recreational use, not a medicinal one, but his colleagues were not buying his argument. Arizona Senate Passes Hemp Legalization Bill. The Senate has approved Senate Bill 1337, which would authorize industrial hemp production, processing, manufacture, distribution, and sales. It also includes language saying the state cannot prevent hemp commerce merely on the grounds that it is federally illegal. 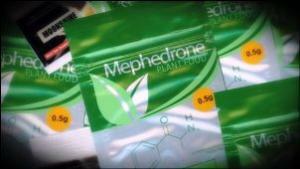 West Virginia Bill Would Create Drug Policy Office, Track Overdoses. A bill that would create an office to track fatal drug overdoses passed the House last week and heads to the Senate. House Bill 2620 would provide a central data collection point to track overdoses and arrests in the state. That information could be compiled and used as supporting data in research and as the state applies for federal grant money to combat the state's drug abuse epidemic. The bill is only one of many filed to deal with the opioid problem in the state. Click on the link for more. The long-awaited marijuana legalization initiative from the Coalition for Cannabis Policy Reform, also known as ReformCA, is about to be filed with state officials. Backers of the initiative told the LA Weekly Tuesday that language for circulation will be filed with the attorney general's office in a matter of "days." There are a handful of legalization initiatives already filed and some already approved for signature gathering, but there is little sign that any of them have the financial and organizational resources to actually make the ballot. It takes some 365,000 valid voter signatures to qualify, a number that virtually demands paid signature gatherers at a cost that could approach a million dollars. Details are vague at this point, although ReformCA says it intends to tax and regulate marijuana like alcohol, and its seven principles provide a general idea of what the initiative is going to look like. They include legalizing personal possession "in limited amounts," creating tax revenues from "legal cannabis business and sales," allowing "limited personal cultivation," and allowing "adults to consume on private property where allowed," an apparent reference to cannabis social clubs. The big one is coming. The ReformCA initiative should have the resources behind it to make the ballot, and it should have enough public -- and financial -- support behind it to actually pass in November 2016. Then, one-eighth of the nation will have gone green in one fell swoop. We're heavy on the marijuana news today, but there's also good news from Congress on needle exchange, and Peru's Shining Path wins a second bad-news designation from the US government. Delaware Senate Committee Approves Decriminalization. The state Senate Judiciary Committee Wednesday voted 4-2 to approve House Bill 39, which would replace criminal penalties and possible jail time for marijuana possession with a civil fine similar to a traffic ticket. The committee chair, Sen. Margaret Rose Henry (D-Wilmington), sponsored the bill. It has already passed the House, and Gov. Jack Markell (D) has said he is "hopeful" Delaware will decriminalize. New Poll Has Strong New Jersey Majority for Legalization. A new Rutgers-Eagleton poll has support for legalizing, taxing, and regulating marijuana at 58% among Garden State residents. Click on the link for demographics and more detail. Ohio Secretary of State Attacks ResponsibleOhio Signature-Gathering. Secretary of State John Hustad (R) said Wednesday that signature-gatherers hired by ResponsibleOhio may be responsible for fraud. He cited several irregularities, including registrants with non-existent addresses, signatures that are illegible or don't match the signature on file for the applicant in the voter's existing registration record, and multiple applications submitted on the same day for a single applicant at different locations. ResponsibleOhio denied those charges, saying it had fully complied with state election laws and that it had met earlier with Hustad, and he didn't bring up any problems with their signature-gathering. The group has gathered more than 500,000 signatures; it needs 305,000 valid voter signatures to qualify for the ballot. Another Ohio Legalization Initiative Approved for Signature-Gathering. Two initiative campaigns have already bowed out this year, a third (ResponsibleOhio) appears poised to qualify for the ballot (but see item above), and now a fourth has been approved for signature-gathering. The latest is the Ohio Cannabis Control Amendment, proposed by Ohioans to End Prohibition. The group has only two weeks to qualify for this year's November ballot, but could continue to gather signatures beyond the July 1 deadline to try to get on next year's ballot. The group's web address -- www.legalizeohio2016.org -- suggest that next year is its real target. Washington State Pot Workers Join UFCW. In a first for Washington, employees at the Cannabis Club Collective in Tacoma have voted unanimously to join the United Food and Commercial Workers Union (UFCW). This is the first union contract in the state's marijuana industry. The UFCW has organized medical marijuana workers in California. 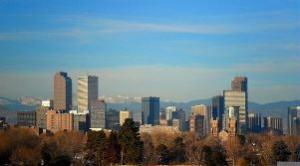 Denver Activists Plan Local Initiative to Allow Limited Public Use. Some of the same people who led the statewide campaign to legalize marijuana in 2012 are now gearing up a plan to allow public use. They're talking about an initiative that would allow indoor vaping and outdoor smoking at bars and other spaces that want to do so. A public hearing on the proposal with Denver officials is going on right now. 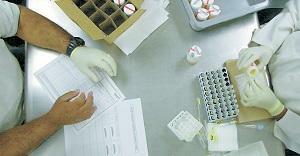 Congressional Republicans Easing Opposition to Needle Exchange. Faced with rising heroin use in their home states and attendant public health implications from it, House Republicans are now easing their opposition to federal funding for needle exchange programs. The health spending bill now in the House would still bar federal funding to buy needles or syringes, but would allow federal block grant funds to states and localities to be used for the other costs of operating exchanges. US Designates Peru's Shining Path as Narcotic "Kingpins." The remnants of the Maoist guerrilla group that plunged Peru into bloody civil war in the 1980s has been designated a Foreign Terrorist Organization since 1997, but this month, the US Treasury Department designated Shining Path as a significant foreign drug trafficking organization. Shining Path is accused of being involved in cocaine trafficking in south central Peru. 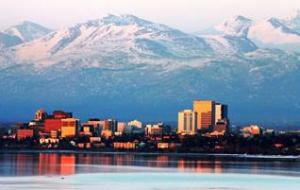 As of Tuesday, February 24, 2015, the first phase of Alaska's voter-approved Measure 2 marijuana legalization goes into effect. Beginning then, people 21 and over can legally possess up to an ounce of weed and grow up to six plants in their home (only three flowering). Adults may also share up to an ounce of weed with other adults and give them up to six plants. Private pot-smoking will be completely legal for adults, although public consumption remains illegal. Not all issues related to personal use, possession, and cultivation are resolved. The state legislature is still trying to settle questions around edibles, transporting marijuana, and use by minors. Senate Bill 30, which was supposed to be ready by legalization day, is still working its way through the legislature. The second phase of legalization -- legal, taxed, and regulated marijuana commerce -- won't go into effect until the spring or summer of 2016. A nine-month rulemaking process is set to begin on legalization day, with the state expected to begin accepting applications for business permits in February 2016. The timeline was mandated in Measure 2, and the process is on schedule so far. "First Colorado and Washington, now Alaska and Oregon -- and all with levels of support higher than the winning candidates for governor and US Senate achieved in those states," said Ethan Nadelmann, executive director of the Drug Policy Alliance. "Legalizing marijuana just makes sense now to voters across the political spectrum and -- as we'll likely see in 2016 -- across the country." Dr. Tim Hunterberger, cosponsor of the initiative and chair of the winning Campaign to Regulate Like Alcohol in Alaska, and Bruce Schulte of the Coalition for Responsible Cannabis Legislation, an industry group monitoring the implementation process, are calling for legalization supporters to celebrate by consuming marijuana responsibly and to keep in mind that personal legalization doesn't mean a marijuana free-for-all. "As with alcohol there's an appropriate time, place, and manner to consume marijuana, and the worst thing that could happen right now is for a handful of overzealous folks to spoil things by making a public spectacle out of marijuana consumption," they cautioned. "So, please be respectful of your fellow Alaskans, don't drive under the influence and don't do anything to give your neighbors reason to feel uneasy about this new law. We're in the midst of an enormous social and legal shift. Please do your part to make it as successful as possible by consuming responsibly." Alaska isn't the only place where legalization is going at least partially into effect this week. The District of Columbia's possession and cultivation legalization initiative is set to go into effect Thursday -- unless Congress acts to block it (and the president signs such a measure) before then. Federal Marijuana Legalization Bills Introduced. Two congressmen from two states where marijuana is already legal under state law today filed two separate bills to legalize marijuana at the federal level. Rep. Jared Polis (D-CO) introduced a bill that would allow states to legalize marijuana without fear of federal intervention, while Rep. Earl Blumenauer (D-OR) introduced a bill that would tax marijuana at the federal level, in addition to any state taxes. The bills were not yet available on congressional web sites as of this afternoon. Click on the link for more details and reaction. Democratic Congressman Calls on Holder to Reclassify Marijuana. Rep. Steve Cohen (D-TN) this week sent a letter to Attorney General Eric Holder urging him to reclassify marijuana as a drug with medical benefits. "I urge you to in your remaining time in office to take action, under existing federal law, to reclassify marijuana," Cohen wrote. Marijuana Policy Project Calls for Holiday Inn Boycott Over Colorado Lawsuit. The group is calling for the boycott because one of two new lawsuits filed in an effort to undo Colorado's legalization of marijuana is in behalf of a Holiday Inn in the mountain town of Frisco. 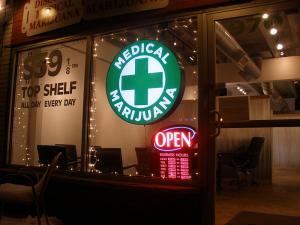 The suit claims that a marijuana shop scheduled to open nearby will damage its business. While the boycott targets the Intercontinental Hotels Group (Holiday Inn's parent company), the hotel is actually operated by New Visions Hotel Two. MPP points out that pressuring the corporate chain could help pressure New Visions to drop its lawsuit. Former DEA Heads All Sign Brief Opposing Colorado's Legal Marijuana Law. All nine former DEA administrators have signed onto an amicus brief filed Thursday in support of the lawsuit brought by Nebraska and Oklahoma to try to kill legalization in the state. Colorado's legal marijuana "gravely menaces… the health, comfort, and prosperity of the people" of Nebraska and Oklahoma, the former administrators claimed. The Kettle Falls Five is Now the Kettle Falls Four. Federal prosecutors have dropped charges against 71-year-old Larry Harvey, elder member of the Kettle Falls Five, Washington state medical marijuana patients being prosecuted despite marijuana being legal in the state and despite Justice Department policy guidance that would appear to preclude such prosecutions. The charges against Harvey were dropped because he's about to die of pancreatic cancer, which has spread to his liver. But his family members still face decades in prison for growing their own medicine. "I'm thankful the charges against me have been dropped so that I can focus on my battle with Stage 4 pancreatic cancer," Harvey said in a statement. "However, if the Department of Justice truly has concerns for my well-being, it will dismiss the case against my entire family. I thought the law passed by Congress and signed by President Obama was supposed to stop the DOJ from prosecuting my family, but so far, there's been little relief." Virginia Legislature Approves CBD Cannabis Oil Bills. The state Senate Wednesday approved House Bill 1445, which would allow people suffering from epileptic seizures to use CBD and THC-A cannabis oils. It has already been approved by the House and now goes to the governor's desk. An identical companion bill introduced in the Senate, Senate Bill 1235, has also already passed both houses and is on the governor's desk. Two congressmen from two states where marijuana is already legal under state law today filed two separate bills to legalize marijuana at the federal level. Rep. Jared Polis (D-CO) introduced a bill that would allow states to legalize marijuana without fear of federal intervention, while Rep. Earl Blumenauer (D-OR) introduced a bill that would tax marijuana at the federal level, in addition to any state taxes. The bills were not yet available on congressional web sites as of this afternoon. Polis's Regulate Marijuana Like Alcohol Act (HR 1013) removes marijuana from the schedule set by the Controlled Substances Act; transitions marijuana oversight from the jurisdiction of the Drug Enforcement Agency to the Bureau of Alcohol, Tobacco, Firearms and Explosives; and regulates marijuana like alcohol by inserting language into the section of the US code governing "intoxicating liquors." 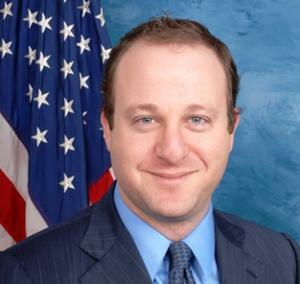 "Over the past year, Colorado has demonstrated that regulating marijuana like alcohol takes money away from criminals and cartels, grows our economy, and keeps marijuana out of the hands of children," said Polis. "While President Obama and the Justice Department have allowed the will of voters in states like Colorado and 22 other jurisdictions to move forward, small business owners, medical marijuana patients, and others who follow state laws still live with the fear that a new administration -- or this one -- could reverse course and turn them into criminals. It is time for us to replace the failed prohibition with a regulatory system that works and let states and municipalities decide for themselves if they want, or don't want, to have legal marijuana within their borders." Blumenauer's Marijuana Tax Revenue Act (HR 1014) would, after federal legalization, impose a federal excise tax on the sale of marijuana for non-medical purposes as well as apply an occupational tax for marijuana businesses. The bill would establish civil and criminal penalties for those who fail to comply, like those in place for the tobacco industry. The bill also requires the IRS to produce periodic studies of the marijuana industry and to issue recommendations to Congress. It phases in an excise tax on the sale by a producer (generally the grower) to the next stage of production (generally the processor creating the useable product). This tax is initially set at 10% and rises over time to 25% as the legal market displaces the black market. Medical marijuana is exempt from this tax. "It's time for the federal government to chart a new path forward for marijuana." 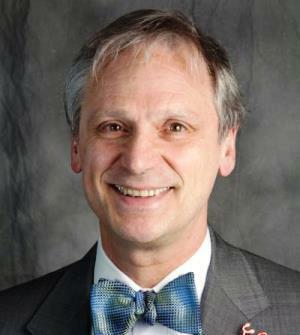 said Blumenauer. "Together these bills create a federal framework to legalize, regulate and tax marijuana, much like we treat alcohol and tobacco. The federal prohibition of marijuana has been a failure, wasting tax dollars and ruining countless lives. As more states move to legalize marijuana as Oregon, Colorado, Washington and Alaska have done, it's imperative the federal government become a full partner in building a workable and safe framework." 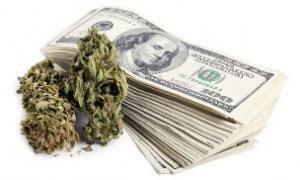 The federal bills come as marijuana is increasingly accepted in the US. 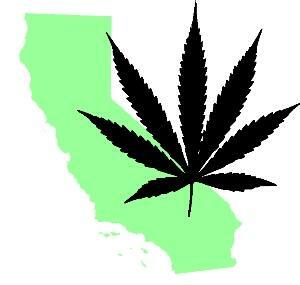 Now, nearly two-thirds of Americans live in a state or jurisdiction that allows for some form of legal marijuana use. Four states -- Alaska, Colorado, Oregon, and Washington -- and the District of Columbia have legalized adult use, while 23 others allow for medical marijuana. Eleven more states have passed laws allowing for the use of low-THC cannabis products to treat specified medical conditions. By now, nearly half (46%) of all people 18 and over have tried marijuana at least once, and in the past few years, public opinion polls have consistently found support for legalization at or above 50%. But while states and localities have taken the lead in finding ways to accommodate legal marijuana, the federal government continues to not only criminalize marijuana, but to classify it as among the most dangerous illegal drugs. The Obama administration has taken a relatively laissez-faire approach to medical marijuana and legal marijuana in the states, but that is a matter of policy, not law. And as long as federal marijuana prohibition remains on the books, policy can change with a new administration, or even if this one decides to take a different tack. 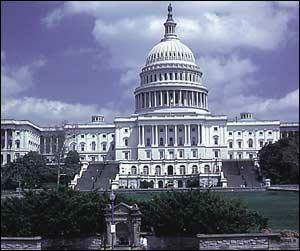 The congressional bills were met with approval by drug reform movement groups. "As more state marijuana legalization laws come on board it's increasingly important for federal policy to catch up," said Tom Angell, chairman of Marijuana Majority. "The Obama administration's enforcement approach over the past few years has created some room for Colorado and Washington to implement their laws and show the world that legalization works. And we even saw the Republican-controlled Congress vote last year to stop the DEA from spending money to interfere with state medical marijuana laws. Now it's time to fully and officially end the federal criminalization of marijuana so that states can move ahead with full certainty that the DEA won't be able to step in whenever the drug warriors that run the agency feel like it." "Cops have better things to worry about than the recreational habits of responsible, nonviolent adults," said Major Neill Franklin (Ret. ), a former Maryland narcotics officer and now executive director of Law Enforcement Against Prohibition (LEAP), a group of criminal justice professionals opposed to the drug war. "And dispensary owners have better things to worry about than whether the federal government is going to arrest them and/or seize their assets for acting in accordance with state law." "These bills would regulate and tax marijuana, taking cultivation and sales out of the underground market and allowing it to be controlled by legitimate businesses under the close watch of authorities. Marijuana would be grown in licensed facilities instead of national forests and basements in the suburbs. It would be sold in stores that create good jobs and generate tax revenue, instead of on the street where it benefits cartels and criminals," said Dan Riffle, director of federal policy for the Marijuana Policy Project. "Congress has been ignoring our broken and outdated marijuana laws for decades," Riffle continued. "Their failure to let go of prohibition is causing serious problems for state governments and interfering in the lives of countless Americans. It's time for our federal representatives to come to grips with the fact that marijuana is safer than alcohol and most people think it should be treated that way. Members who consider it unthinkable to return to alcohol prohibition need to ask themselves why they are clinging to the prohibition of a less harmful substance." The bills are there. Now it's time to see whether Congress will act on them.